President Donald Trump demanded a government funding bill on Thursday. Trump blamed Democrats for opposing the GOP’s year-end spending plans, suggesting a government shutdown is a possibility. 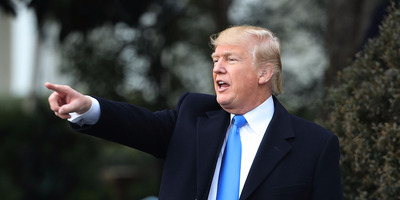 President Donald Trump demanded Congress pass a continuing resolution on Thursday to fund the government, taking direct aim at Democrats in the House who want specific provisions included in any year-end spending bill. Democrats have remained united in their opposition to a Republican spending bill that does not include a solution for unauthorised immigrants under the Deferred Action for Childhood Arrivals program or parity for defence and non-defence spending. But Republicans have insisted on addressing DACA in the new year, which would include certain border security provisions wanted by the White House.